I have always wondered about why most churches always teach or do sermons on the books of the New Testament for the most part. For Christians the New Testament is important because the first four books are biographies of Jesus. Matthew, Mark, Luke and John are called the Gospels.The rest of the books are letters or accounts about the teachings of Christ and why the are important to the churches. You will also find prophesies in the Book of Revelations, which is the last book in the Bible. Reading my Bible more consistently is something I for sure need to work on. I have been lacking in that area. 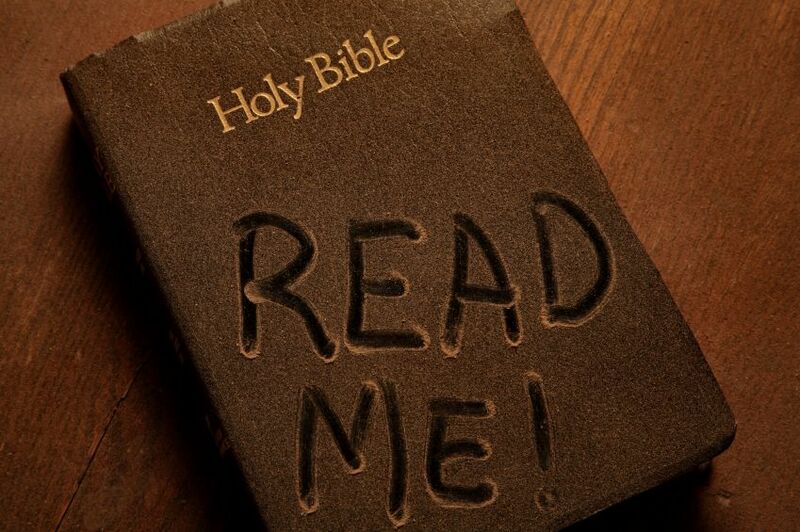 In another survey it says that only 25 percent of Americans said that they read their Bible on a regular basis. And the younger generations will only be reading their Bibles around 3 times per year, if they read it at all. 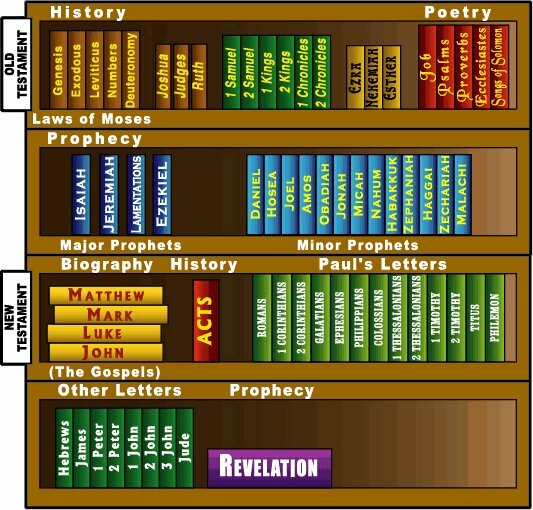 When I think of reading the Bible, I have a hard time knowing where to start. I’m not good at the reading your Bible in a year. I don’t know why that is since the desire is there. I have many friends and some family who has done this, I’m not one of those people. I think I have the idea that I need to start from the beginning and go from front to back. I get to the geology part of the Bible and I fizzle out. People say it is important to know the begats, but they seem to cause me to put on the breaks and I come to a screeching halt. I understand that by not reading the Bible, I am missing out on the most and best things in Life. Things of this world will not satisfy the hearts of mankind. For me the Bible is the most important possession I have. I have the tendency to take it for granted. When reading the Bible, it has a way off guiding me through my life and fulfilling my heart. John 6:63 says. 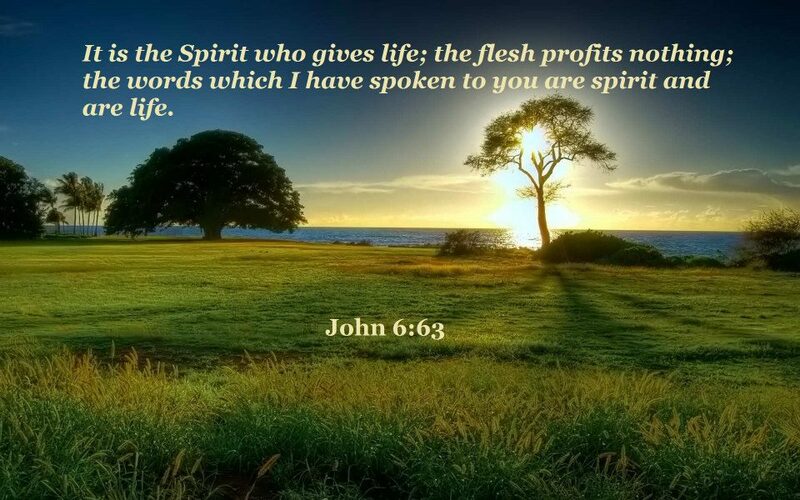 “The Words that I speak unto you, they are spirit, and they are life”. Our lives become worthwhile and we are satisfied as we go through our life. When I read the Word of God, I find that it is the key to my own happiness and it can be the key to anyone’s as well. Life is full of terrible things and we will stumble and fall. The Word of God shines through the darkest of moments and the light shines like a beacon of light. The Bible gives us the truth about God and what our future looks like. The Bible also covers the problems of sin and the path to salvation. In 2 Tim. 3:15 The Lord Jesus Christ made the way of salvation very simple when He said, “Behold, I stand at the door, and knock: if any man hear My voice, and open the door, I will come in” (Rev. 3:20). 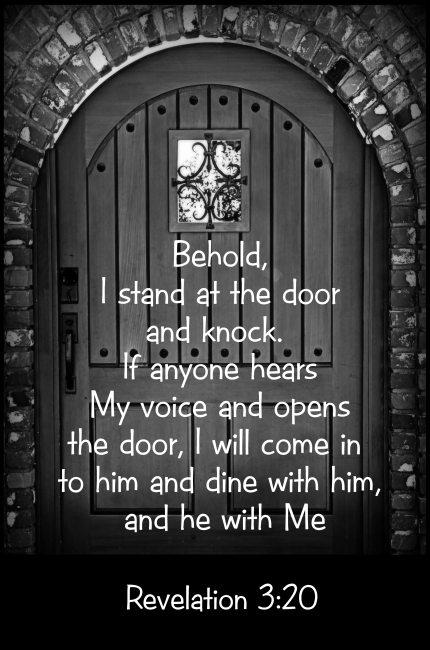 All we have to do is open the door and invite Him into our hearts and have faith that He is Who He says He is. I would love to see our church when it is done with the Book of Luke to do the Book of Titus. I wouldn’t mind doing the books of Ezra, Nehemiah and Esther. When I ask Christians about the Books in the Bible, Titus is one of them that they forget that is there. The Apostle Paul wrote this book which is actually a letter. The Book of Titus can be found in the New Testament after 2 Timothy and before Philemon. This letter is about Titus who was a Greek Christian and he put his trust in Paul to oversee the churches in Crete. One of the things I think that is important about this book is that is is still relevant today when it comes to immorality and worldly behaviors. 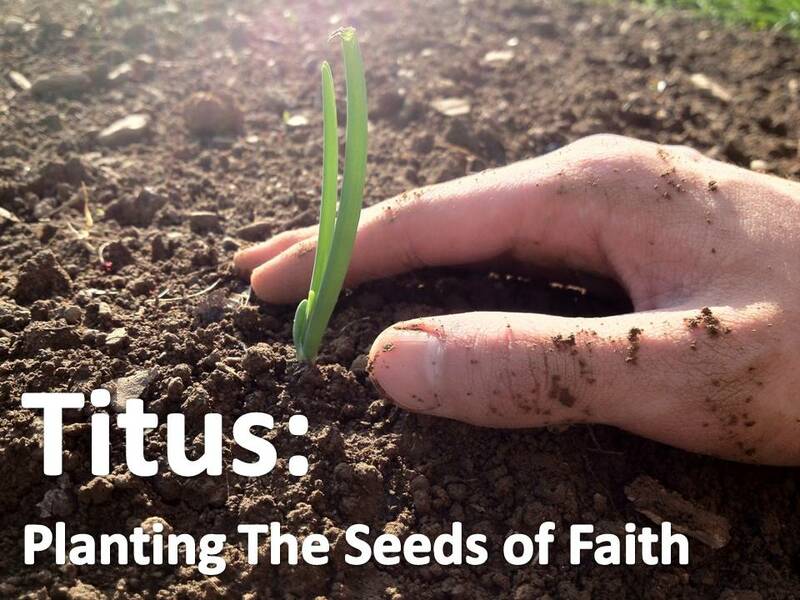 When I was reading up about the Book of Titus, it demonstrates and discussions how if a person believes in Christ, their actions will reflect them. As we have been studying the Book of Luke, we can also see that good works will NOT save us, but they will reflect who we believe in. There are also instructions about church leaders and how to treat others. I don’t think we have a problem of a pastor who doesn’t demonstrate the love and truthfulness of Christ. However, there are many churches and church leaders that are just going through life and not really applying the Word of God in their lives. Since an overseer manages God’s household, he must be blameless-not overbearing, not quick-tempered, not given to drunkenness, not violent, not pursuing dishonest gain. Rather, he must be hospitable, one who loves what is good, who is self-controlled, upright, holy and disciplined. He must hold firmly to the trustworthy message as it has been taught, so that he can encourage others by sound doctrine and refute those who oppose it. For the grace of God has appeared that offers salvation to all people. It teaches us to say “No” to ungodliness and worldly passions, and to live self-controlled, upright and godly lives in this present age, while we wait for the blessed hope-the appearing of the glory of our great God and Savior, Jesus Christ, who gave himself for us to redeem us from all wickedness and to purify for himself a people that are his very own, eager to do what is good. In Closing, I just want to say that churches and individuals seem to focus on how it is that they are worshiping God- lighting, music styles (traditional and contemporary) instead of what it is that they believe and Who they have faith in. For myself, I love my church, I don’t really care for the traditional hymns most of the time. I enjoy the praise and worship music (Casting Crowns, Big Daddy Weave, Jeremy Camp and on and on). I’m not into the whole Southern Gospel thing either. I’m not at church for the music, I am there because God is the main focus and our church is sound in doctrine and Worshiping God is the most important thing we do. If a church isn’t focused on Christ Alone and the Bible, then I would suggest spending time in prayer and really making sure why it is that you are going to church or not going at all.